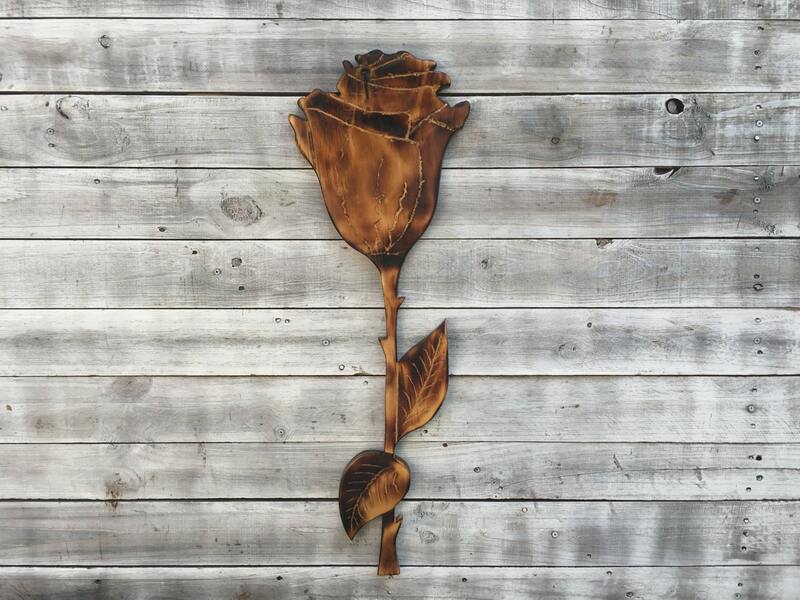 Unique Wooden rose wall art. Flower Wall Decoration. 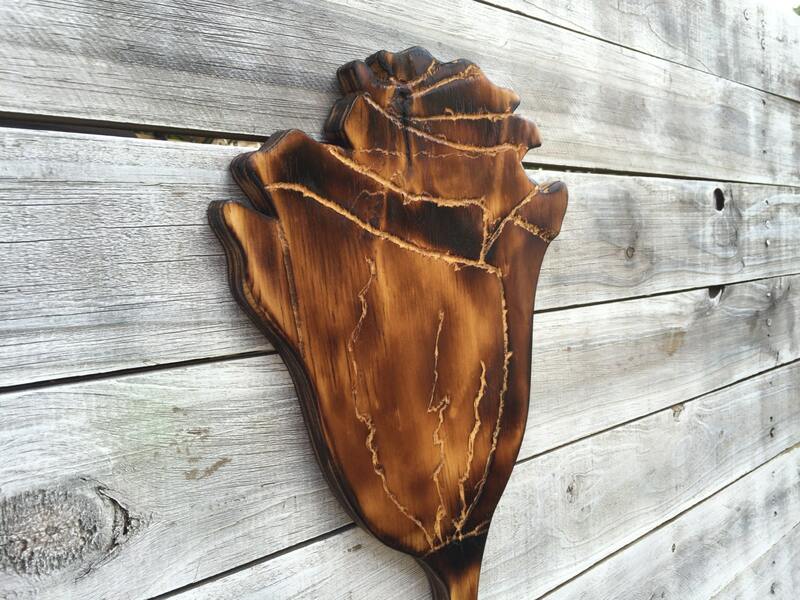 Hand Carved Wood Rose Flower. 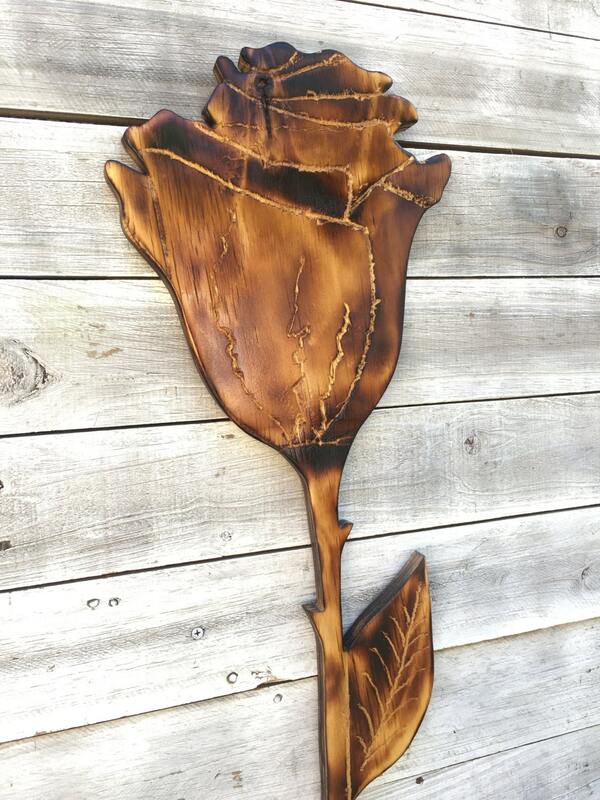 Wood burnt rose gift idea for her. Rose is a beautiful flower. 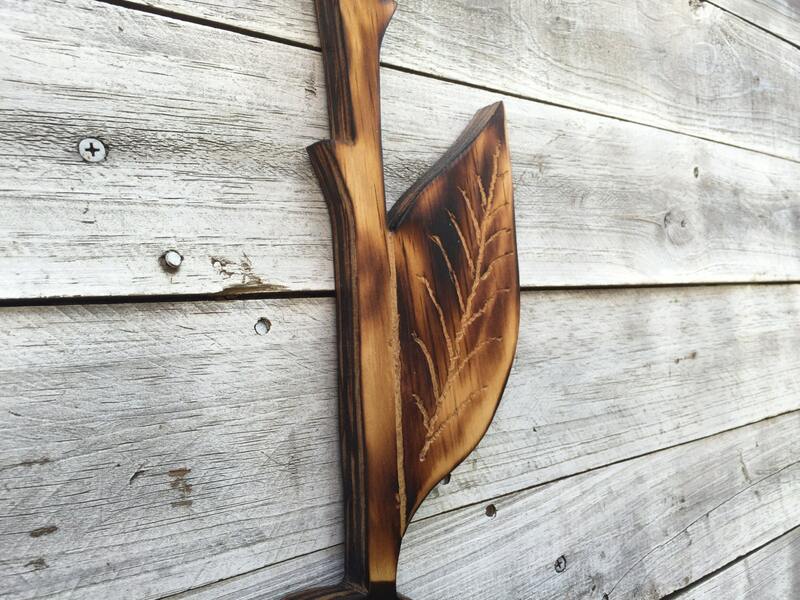 This time we decided to represent it in burned wood style. It looks very stylish hanging on the wall in your bedroom, living room, patio, porch or anywhere you wish in your home, garden or yard. It also can be a very thoughtful housewarming present, birthday or any other occation gift. 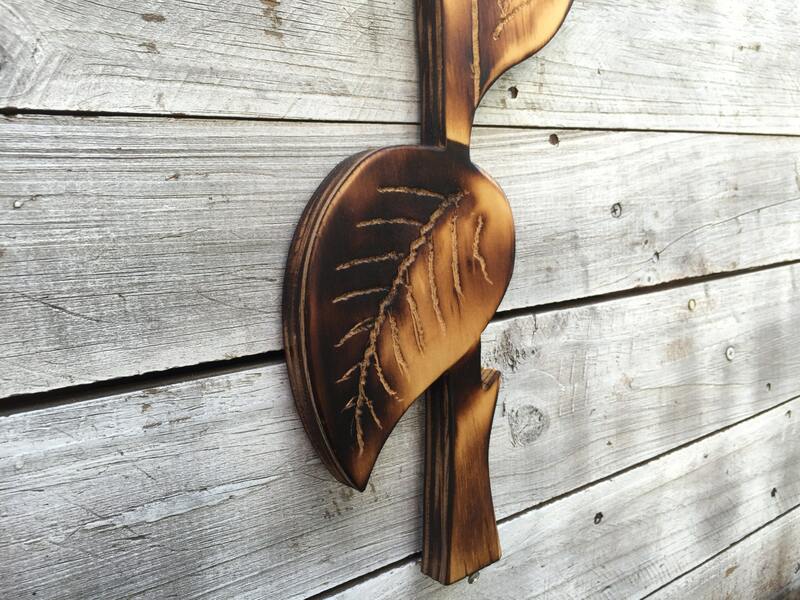 The Rose is made from high quality wood, hand carved and stylish burned for you in Key West, FL. Could be painted in any colors to customize it. Comes ready for wall hanging in the house or porch. Save for outdoor displaying for years. Different sizes available: 24, 36, 40, 48 inches tall. Just a beautiful piece of work! I love this rose. I have not figured out which room I am going to hang it in but have gotten compliments on it. I will probably order some more things, just have to figure out what I want.